Specifically, Google News can be a great source of traffic not only due to the volume of searches performed, but also due to perceived authority that listing in the News section can carry. I don’t have any hard data on this, but it would be interesting to compare the conversion rate of News visitors vs. regular search visitors. In any case, I wanted to share a problem one of our clients had with his Google News listings recently and the way how we managed to solve this problem, hoping that this solution will help other people with similar problems. We’ve noticed that the number of visitors coming from Google News has dropped sharply in mid-April. Performing a site: search on Google News, showed that the most recent article indexed was from April 18th. 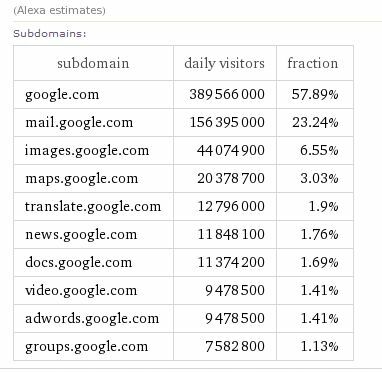 Since this specific client publishes several news articles a day, all of which usually get featured on Google News immediately, it was obvious there was a problem. Prior to the first delisting of this client’s articles from Google News, they performed a number of changes on the website, including hyperlinking the <h1>Title to point back to the original article page. This practice is commonly used to both ensure the link back to the original content from the websites that pick up the articles feed from the website and to tell Google which of the articles is the original one and thus prevent duplicate content issues. It turns out that this hyperlink was preventing Google News bot to correctly identify the Title of each article and therefore to stop lisitng them in Google News. Removal of this hyperlink got the client’s articles back into the Google News in a matter of minutes. 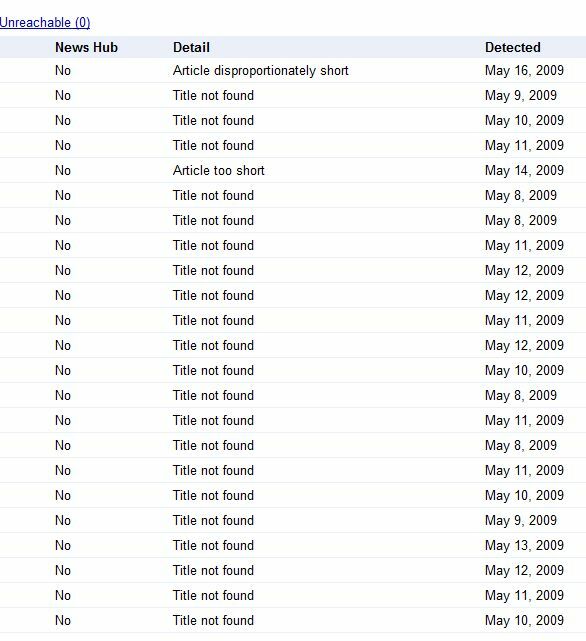 Quick glance at other Google News listed sources shows that the majority of them do not have hyperlinked Titles. There are those that do (like LA Times for example), but they may be doing something else to ensure the correct recognition of the Title. In any case, if you are planning on getting your site listed in Google News, linking from the <h1> title of each article is not something I would recommend. Useful advice, thanks. I take your point about why one would want to link the title … on several of my WordPress sites I use a plugin that adds a dofollow link to the bottom of each post, anchored to the title. It only shows on the RSS feed. I figure if I’m going to get scraped, I may as well at least get a link out of it, even a crappy one. Thanks for the links to more information. It is very interesting that Google News uses the tag to link back to the original article. Nice catch! Kind of odd, indeed. That´s a great tip to keep similiar the title tag and tags. It Already intuitively made sense, now with the facts presented in the article, it has been proven! I don’t know if I could have figured that out but it’s something I will definately file away for futute reference. Thanks for the tips. I am going to start with google news. i get traffic from google images and mail but I am now excited about the other options. Good hints and tips here, backed by data too. Rarely do we hyperlink the h1’s but have seen it in a few cases. The necessary will be brought up in the Manchester SEO game.